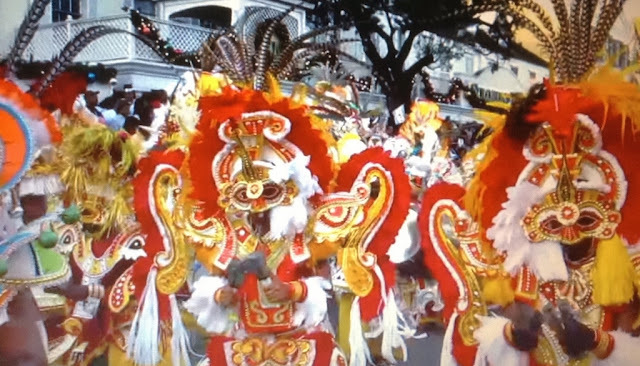 Vacationing on St Maarten/St Martin you have the advantage of experiencing two very different island nations - French and Dutch. Passing between the two nations is a breeze, there are no physical border between the territories, so you can travel freely back and forth. 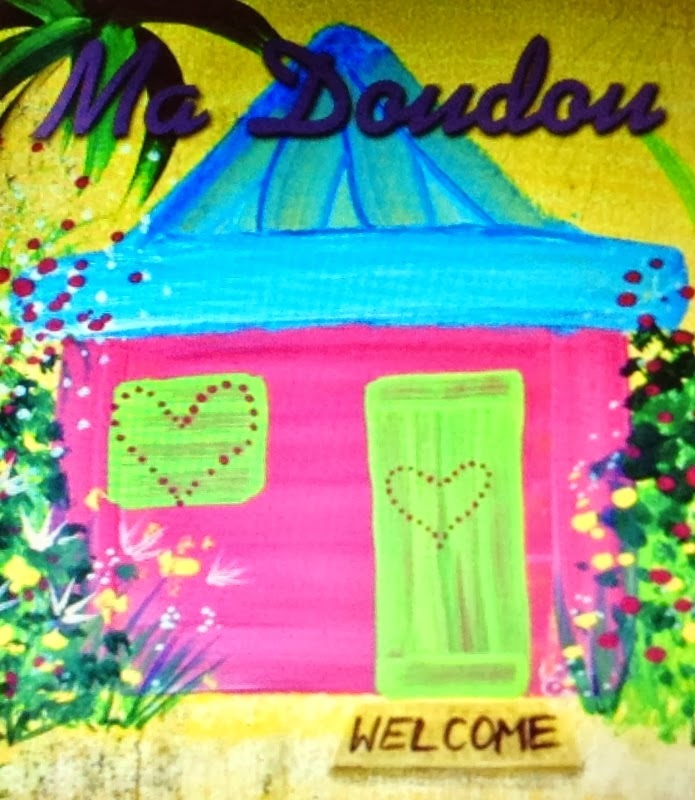 Ma Doudou - which means "my darling" in Creole - is one of the most unique local products on French St Martin. Each bottle is intricately painted by hand, and inside these beautiful bottles is the local hand blended rum. The rum comes in 20 flavors, and you can also find soaps, jams and shampoo in colorful hand painted glass containers. I first heard about Ma Doudou on a bus ride from Dutch St Maarten to French Cul De Sac where I had plans to catch the ferry to Pinel Island. My curosity was peaked when several passengers mentioned on the way back they were stopping by Ma Doudou - in fact one bus passenger had an empty bottle in her purse. She explained each bottle is unique since they are hand painted, and she wanted to find another similar bottle for a friend. 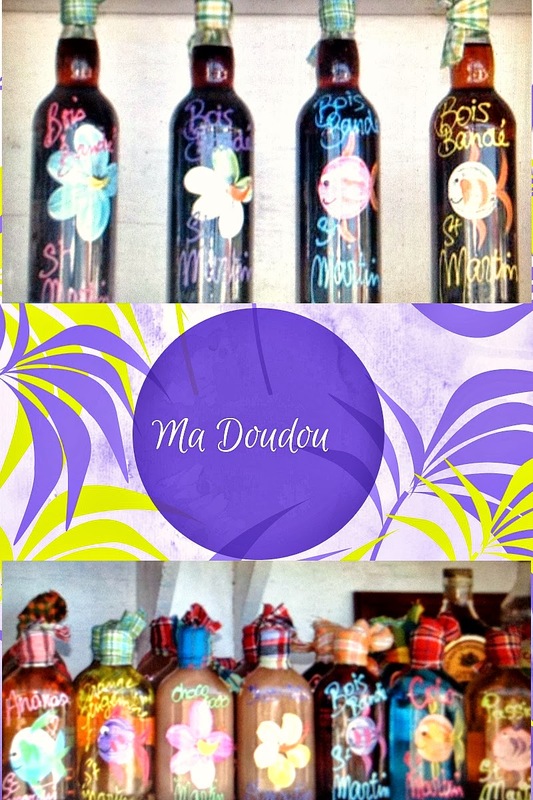 After seeing the lovely bottle and hearing about 20 exotic rum flavors, Ma Doudou was a must stop on the return trip. While the local Ma Doudou rum can be found in many locations in both the French and Dutch territory, I recommend taking the time to find the tiny little shack that's almost hidden in the tropical vegetation. The owner Corrine Burgaliare was quite open in explaining the rum making/bottle painting process, and she gave me, and the new bus passenger friends, a lovely free bottle of heavenly jam. The French French Cul de Sac area offers a lot more than a visit to Ma Doudou. Just minutes away is world famous Orient Beach, and you must take the ferry over to beautiful Pinel Island. French St Martin's capital Marigot offers so many unique little French boutiques, and the capital is also within easy reach of the famous Grand Case restaurants, which offers some of the best Caribbean dining. Getting around is quite easy and also affordable. It costs approximately $1.00 to ride from the French side to the Dutch capital Philipsburg, and $2.00 traveling from the Dutch side to French Marigot.